Ducks Garden Statue. 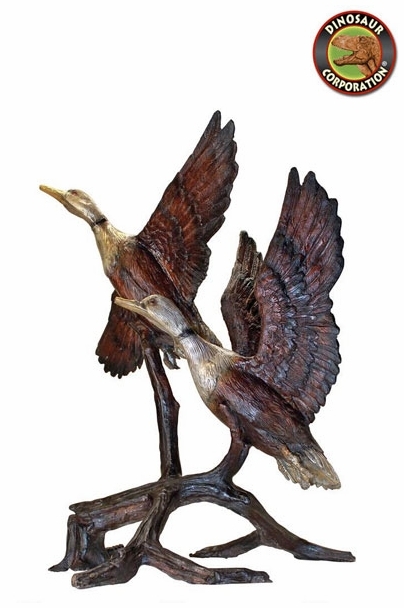 This bronze Mallard Duck statue, reminiscent of the European tradition of splendid, grande-scale garden art, artistically captures the form and grace in flight of the Mallard. Our bronze bird statue, finished with a stunning hand-applied multidimensional color-washed patina, is cast one piece at a time in the traditional lost wax method, which highlights its graceful legs and exquisite, elongated necks and guarantees lasting beauty. * Size: 24" W x 20" D x 25" H.